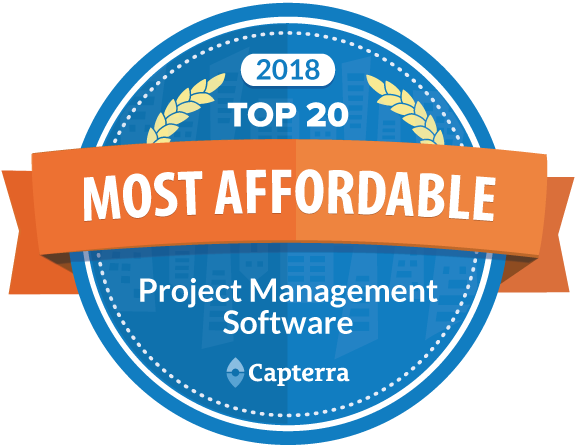 We are happy to announce that Intervals has been listed in the Top 20 Most Affordable Project Management Software by Capterra. The Top 20 Most Affordable rating is an independent assessment that evaluates the standard features offered by a product, cost of the features, and customer reviews on feature fit, value, and quality. The report also includes a few quantitative metrics to measure how Intervals stands up against the competition as well as customer reviews. About Intervals: Intervals has been helping businesses succeed since 2006 by providing superior time tracking and reporting with customizable project management. For more information visit www.myintervals.com. About Capterra: Capterra is a leading online resource for business software buyers. Founded in 1999, Capterra features validated user reviews and independent research across hundreds of software categories. For more information visit www.capterra.com.